There was a home that these poor mental patients would go and give this lady all their social security checks to so she would have enough money to get food for them, beds, and help pay for the place that they are staying at. A half-way home, these patients remember where mental patients. Some of them didn't know what was going on. They just knew that they weren't in the hospital any more and were willing to go to this place. A place that feed them, gave them room and board sounded very good to them. But after they were there for some time they realized who terrible that place really was. If you were the lucky one you were just left in a cold room with dirty sheets and the mattress was so thin you could almost see through it. If she like you then each day or several times a day you were time into her room. That was an experience that you never wanted to have. The patient's would call 911 from the pay phone on the in the hallway. If she caught you before it went through then the call was canceled. If not and the call went through then we would come and when we went inside if she didn't know we would find her with one of the patients in here room and they would be ever so happy to see us. When we would load the patient up to take them to the hospital she would get very angry and not want us to take them to the hospital. Though they where mentally ill they could tell us what was going on. On this way day she didn't want us to take this patient to the hospital. I had already shut her down once due to the treatment of the patients and the conditions of the place. She re-opened back up under a different name. Doesn't anyone check out the place before they open and give her a license? They would have seen it was the same place. I just don't understand how the state could let these poor people be sent to a place like this and no one check it out. The smarter ones would call 911 and tell us what was wrong at the place while we took them to the hospital. That made her very angry and she found out who had called the state on her and when we were there to pick up a patient that called 911 she came running after me and grabbed me by the back of the shirt collar and pulled me out of the back of the rig. When she got me out of the rig I turned to face her after I regained my balance as I came up she punched me right in the face. Knocked me clear off my feet. I'm 5 3 100lbs. She out weighted me by 100lbs and was 5 8 something like that. As I got to my feet to hit her back when several cops came running. Tackled her and hand cuffed her and off to jail she goes. What happens to all the people there? We take them to the area hospitals to have checked out and sent to a different half way home. Her place was closed down charges brought against her by the police. She brought charges against me. I didn't even touch her but she brought them against me anyway, at court and believe it or not the judge demanded I tell her I was sorry or have the charges brought against me. Like that wasn't bad enough she re-opened again. Third time under a different name. What does it take to close this place down? Finally enough patients complained but not until so many patients had so much more mental damage done to them that the placed closed. Never to open again! The great state of NJ, these poor people were caught in a system that didn't seem to care. I often wonder how many homes like that are out there? those poor people were sent to other homes. Are they like that one? I hope not!!! someone else's house to take care of them and they were unconcious or no able enough to give us there history which is so important to us emt's that I should look into something to help us. I had no clue that just the thought of helping us emt's with our patiences where it would lead me. But as I sat around and talked about it and everyone agreed it was a great idea nothing was happening. I didn't do anything about it thats for sure, I believed we needed something and I would talk to people and see if they had any idea's. I got a lot of ideas but none struck me enough to get me going. Then one day the day that change how I felt about it. The day that put a fire under me for this that will never go out. I went unconcious and needed an ambulance. Now understand me and my husband had know my medical history like the back of our hands. Knew what I took, how much, etc. Well the ambulance come and boom we can't remember a thing. For starters i'm unconcious and now things rely on my husband to remember everything. What does she have, how long, what does she take, when? What is she allergic to? What happens during the allergic reaction (stupid question in my book) and on and on. Tom is doing his best to stay afloat and worry about me and what happened. And so after the hospital stay the "Vials for Life" was born. Something to help all people in a crisis to have something to fall back on and help with all those questions that I have asked a 100 hundred times in the 20yrs,and now i'm being asked to remember! Wow what an eye opener! The stress that comes with a loved on in a crisis and you not knowing whats wrong or under stress and suppose to remember everything. When people would leave something out of their medicial history I thought it was on purpose, I really took offense to that. Boy did I eat crow that night when I woke up in the er and didn't have a clue!! So the fire was set, I finally understood what I needed to do and how to do it. I felt I was put in that situation because I wasn't moving on it and that seemed to be the only way to get this thing off the ground. And off the ground it went. with-in a month I was ready to go!! I sat down and thought of everything that we needed on a call to assist us with what might be wrong with the person, (but not the bible mind you a tool) if we found them unconicous or unable to answer everything that has been wrong with them. I ordered magnets for the refrigerator for the ems personnel to know that the form they need is in that refrigerator. Pill bottles for the forms that they filled out. Now mind you this was 10 years ago. Alot have come along about this and a lot of companies have started their own. But back 10yrs ago we were the only game in town and other companies would come to use for our program and tweek it a little for their own. That was fine by me the more that got out there the better for the public and ems alike. 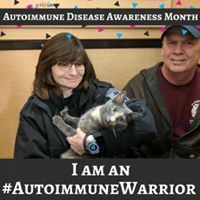 I was very proud to share it and didn't care if our name was taken off because I did't do it for credit I did it as a patient advocate. Till this day my fire for this burns to get to every person because at one point or time anyone would might need an ambulance. What's got me is someone left my company and went to work for the county. I just got a news letter from them with the exact name of my vials and exactly like our company on how to use it, fine but they took credit and stated they are the first to do this! What?!!!!! Here's how it would works if you wanted to do it at your company or contact me and i'll send you the packet I have and set you up that way. A form with patients name, date of birth, social security number, phone number, address, emergency contact and their phone number, name of their doctors and if at all possible the name of the hospital that they would like to go to if we can. Then their medical history, the medicines they are taking (over the counter and prescription), allergies to any medicines again over the counter and prescriptions. I believe that was all we put on there. Just the basics to get what we needed and might set us in the right direction if patient is unconscious. You would fill out the form and then fold it up and place it in a pill bottle that we use to supply them with but the pharmacies decided that they couldn't donate the pill bottles anymore. No problem people have pill bottles for everything, antibotics, anything. So we told them to use an old pill bottle take the label off and then put the form in the bottle, placing the bottle in the refrigerator on the door where the butter spot is. We would give them a magnet with our name on it and they would place that on the outside portion of the door of the refrigerator so the emts would know that they have the form in there with information for us. The key is to train the emts to remember to ask or look for that magnet and to have the public stay on it and update the form when they need to. I have given them my name and number so I can get them the form as soon as they need it. This little idea had taken off and everyone wanted one and ask about something they could carry with them. Why didn't i think of that! So I quickly got the wallet portion of my "vials for life" together and trained the emt's to look and ask and our program has been a success for over 10 years now.! This I feel every company should help promote to their community, it's great pr for the company and it will help the emt's with their jobs. Which is hard enough. Good luck with it have fun and be in love with it because it does take time and it's not something you can just diddle in you need to be dedicated to it! Anyone wants a packet or more knowledge on this please feel free to contact me.